For those who grew up in the '90s, the decade will forever be linked with things like POGs and that strange sound the modem made when it was connecting to the internet. But it was also a time when society was in flux, and some of the old laws that were on the books suddenly started to look ridiculous. It took a while to repeal them, but these eight things that were against the law in the '90s are totally legal today. Among other things, this precluded some of the specialist craft brews that were starting to emerge, as well as most European brews, because Europeans tend to bottle in milliliters, which often don’t convert to nice round ounces. Some blamed the law on the large beer sellers deliberately keeping these beers out of the Florida market, while a major distributer speculated it was for easier taxation. Come 2001, the craft brew lovers won, and the wording was removed from the law (although 64 ounce growlers remained illegal in Florida until mid-2015). Planning on traveling through Ebensburg, Pennsylvania? If you’re a communist, you can breathe safely knowing you won’t need to register as someone promoting “the evil forces of communism” (apparently a direct quote from the ordinance). According to the Observer-Reporter, the community passed an ordinance in 1950 requiring all communists entering or leaving Ebensburg to register with the chief of police, and the mayor was required to publish a list of known communists. In 1996, communists were again allowed to travel freely through that part of Pennsylvania. 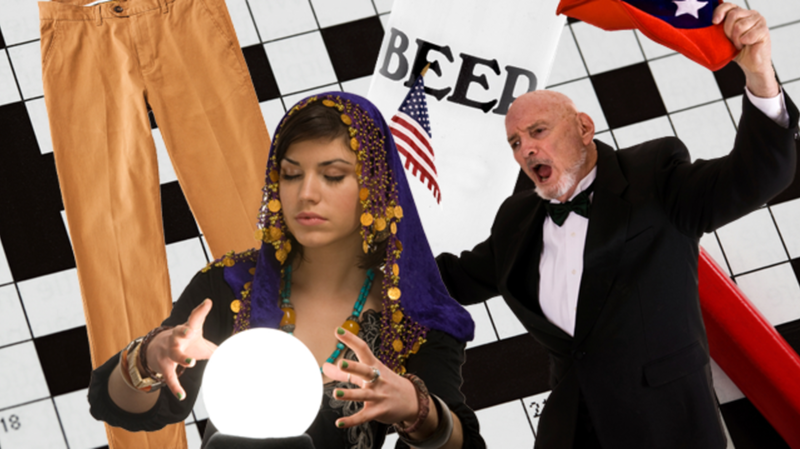 Going into the '90s, several states had bans on fortune telling (especially for a profit). Coming out of the '90s, some of those states had either dropped their bans or had their bans dropped for them. One such law was in Nebraska, where Michael Argello was charged with running a fortune-telling business in direct violation of a Lincoln Ordinance. The case went to the Court of Appeals, which overturned the law based on First Amendment concerns, stating “[the g]overnment is not free to declare certain beliefs—for example, that someone can see into the future—forbidden,” specifying that if someone wants to believe the Earth is flat, the government has no power to stop them. Unlike other items on this list though, there are still some states that ban fortune telling, such as Pennsylvania. So predict the future carefully. In 1989, Congress passed the Ethics Reform Act, which, beginning in 1991, prevented any government employee from doing any paid speeches or appearances whatsoever. The motivation was admirable—protect sitting government officials from accusations of graft. But the law was so broad people soon began having problems. No more preaching on Sundays, and according to the Lawrence Journal-World, even moonlighting as a dance teacher was an offense for all government employees (dance was "construe[d] as speaking for a fee," according to the paper). Another odd casualty? Crossword puzzle writers. One government investigator was explicitly told that he’d have to either give up his night job of writing crossword puzzles or write them for free. The law was widely condemned, with even the Bush administration admitting it was poorly worded. In 1992, the law was amended to cover only official appearances, and in 1995, the Supreme Court largely gutted the law for most government employees because it was too broad. This was not a law per se, but at the beginning of the '90s, women weren’t allowed to wear pants on the Senate floor (ladies had been wearing pantsuits off and on in the House since 1969). This wasn’t so much an issue for senators—though there had been a couple of female senators in the preceding decades, it wasn’t until Paula Hawkins in 1980 that a woman was elected to a full term without a husband or father preceding her (Hazel Abel, who was elected in 1954, only served a few months to fill out a term of the previous office holder). But the rule had a massive effect on staffers: Senate historian Richard A. Baker told the Washington Post that "We've heard from women staff that in the 1980s, if they came in to work—if they were called in on an emergency basis—they needed to keep a dress to put on quickly or they had to borrow one if they had to appear on the Senate floor.” This ended in 1993, when Senators Carol Moseley-Braun and Barbara Mikulski defiantly wore pants on the Senate floor. Soon, the female staffers followed (pant)suit, and the dress code was amended. The United States Senate wasn't the only place where allowing women to wear pants was controversial. In 1994, the California Senate twice killed a bill that would have prevented employers from prohibiting women to wear pants to work. Not long after, though, lawmakers apparently realized that there was an election coming up in which women would be voting, so they passed the law, allowing women to choose their attire without their employer's approval. In 1999, a task force attempted to get rid of some of the odder laws in Michigan. Among them was a law that made it a crime to advertise “the treating or curing of venereal diseases, the restoration of ‘lost manhood’ or ‘lost vitality or vigor.’” State Senator Thaddeus McCotter pointed out that, technically, this meant that those icons of the '90s, Bob Dole’s Viagra ads, were in violation of state law. But apparently the legislature of Michigan was deeply concerned about “lost vitality” ads appearing in their state, because the law was only successfully repealed in 2015. One more law repealed in that same group was the prohibition against dueling. While presumably dueling is still banned under other parts of Michigan’s state code, they also removed the law prohibiting “reproachful or contemptuous language” [PDF] in print against anyone who declines a duel challenge. One of the strangest of Michigan's laws on the books dated back to 1915 and said that anyone in Michigan who killed a rat was entitled to a five-cent bounty (later upped to 10 cents). All someone needed to do was kill a rat, deliver it to a town or city clerk, and collect the bounty, assuming the rat was “in [a] state of good preservation." The clerk would then “destroy the heads of such rats by burning.” This law was soon forgotten, but every so often it reemerged to horrify a local clerk. For instance, in 1985, Marathon Township Clerk Laura Ring was told that an enterprising resident had 76 dead rats and wanted to know how to go about collecting the bounty. Ring would later say, "I went to the board meeting wearing surgical gloves that month ... I actually had visions of a sack of rats appearing on the front doorstep.” (Thankfully, the sack never appeared.) Clerks (and rats) were finally able to breathe a sigh of relief when the law was repealed in 2000.